DBR Hotels brings you the latest news and insight from the architecture and construction sectors in a vibrant, interactive format. Produced by a team of experienced editors and contributors, this bi-monthly magazine offers analysis of key issues affecting the industry as well as the latest technological developments. Focuses include commercial, residential and mixed-use buildings of all sizes; urban planning and development around the world and environmental considerations, as well as the materials and technologies used by today’s architects to create the buildings of tomorrow. At DBR Hotels we supply our readers with all the latest business news and insights in a visually stunning and easy-to-use format. We have developed an engaging, interactive reading experience, built on the firm foundations of the traditional B2B publishing style. Our publications are designed in a bold, bright and beautiful aesthetic that pleases the eye while giving our business-minded readers all the facts, data and analysis they expect from an industry magazine. 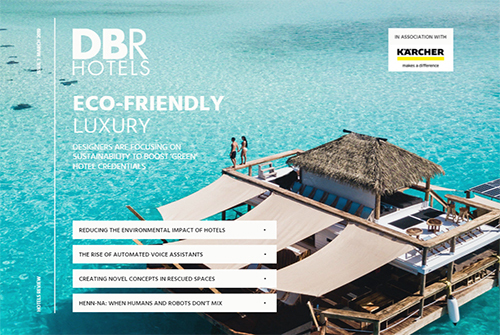 DBR Hotels is one of 27 digital B2B magazines produced by our team of experienced writers, editors and designers. 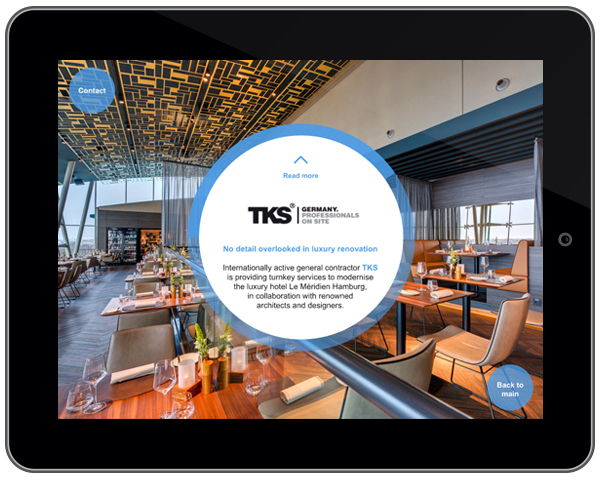 Originally launched in 2011, with an upgraded iPad version launched in 2014 and the latest fully responsive multi-platform version launched in 2018, this title has been at the forefront of our dedication to pushing the boundaries of digital publishing. Published by a leading business intelligence company, DBR Hotels draws on our strong in-house market data and industry expertise to analyse and anticipate trends in the architecture and construction industries, offering our readers truly timely and valuable news and insights. Browse past issues in our archive. 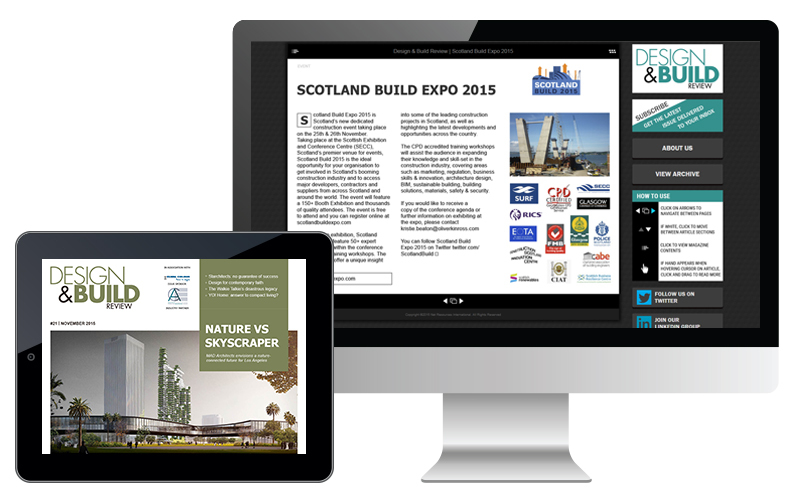 By subscribing you will receive an email notification when a new issue of Design & Build Review is published, giving you free access to the web and iPad versions of the magazine. Design & Build Review is published bi-monthly. “After researching high quality publications within the industry, we quickly discovered Design & Build Review, and were keen to use them as a platform to promote our Build events to their readers. The team have been fantastic – always very helpful, prompt and of great assistance. We also like to share Design & Build Review’s articles internally as a team; they are consistently of high quality and of great interest to us. We would be delighted to work with Design & Build Review on our future events.